Can’t sleep? Need help? Join millions using sleep sounds, bedtime stories and sleep meditation techniques to get a good night's sleep. Finally, you can wake up feeling fresh, happy and ready for the day! Choose from carefully created sleep sounds, relaxing bedtime stories and soothing meditations. You can even craft your own unique soundscape using the composer. With over 1 billion potential combinations; it's time you treated yourself to a good night's sleep. Our Bedtime Stories are the perfect treat for those of you who like to listen to audiobooks or podcasts. People have been reading books for centuries as a way of slowly switching their brain off before bed. For many however, the distraction of a light or sitting up in bed can hinder chances of a good night's sleep; Sleepiest is the perfect solution. To produce our Bedtime Stories, we’ve enlisted some of the best voice actors from around world to narrate both classic tales, as well as some more modern literary works by upcoming authors and storytellers. Sleepiest provides an ever expanding range of both fiction and non-fiction stories, read by award-winning voice talent that will give you all variety you could possibly want. Our Sleep Sounds are perfect for those who can't sleep in silence. These carefully crafted soundscapes will lull you into a state of pure sleep meditation; bringing you out of your surroundings and into a more peaceful and natural state. Sounds of the outdoors or water have been proven to help calm senses and improve deep-sleep. The app features a series of location-based sleep sounds to transport you to mythical realms, forgotten islands or intergalactic voyages. Sleep sounds can be used alongside our time-out functionality, allowing them to automatically switch off once you’re sound asleep. The Composer tool allows you to create your own Sleep Sounds. ideal for those of you who like to fine-tune your sleep meditation. With 70+ noises, sound bites and instruments to choose from, you can create your own harmonious masterpiece to help you drift off into the Land of Nod. The composer also features binaural beats functionality, which clinical studies highlight can be effective in altering brain state, encouraging a quicker, deeper sleep. "Beautifully narrated stories and equally as satisfying soundscapes that lure you into sleep, and help you avert your mind from dwelling on any worries." "Excellent, starting listening and within minutes it was morning... Really enjoyed the experience... Thank You!" "Easy to use and great choice of different sounds/stories that are easy to listen to, whilst drifting off!" Sleepiest integrates with the Health App; helping you track your sleep each night. Sleepiest offers auto-renewing monthly and yearly subscriptions to 'Sleepiest Premium' charged at £9.99 and £29.99 respectively. Sleepiest Premium expands upon the content available in Sleepiest, providing access to a large and constantly expanding range of Stories, Soundscapes and Composer Sounds. Sleepiest offers free trials, which auto-enrol into the selected subscription if not cancelled during the free trial period. Any unused portion of free trial periods, if offered, will be forfeited if you start a new subscription before the completion of your trial. Your Sleepiest subscription will automatically renew up to 24 hours before the the end of each term and your credit card will be charged through your iTunes account. You can turn off auto-renew at any time from your iTunes account settings but refunds will not be provided for any unused portion of the term. - An all new 'Meditation' section to Sleepiest where our expert meditator 'Kim Carmen Walsh' guides you into a relaxing and deep sleep with 3 stunning mediations. - An iMessage sticker pack, full to the brim with sleep related stickers! - An improved referral system whereby you can get access to some of our content for free by recommending Sleepiest to friends. - Our iWatch App and Siri Shortcut have been updated to support our all new meditation section. As always if you have any issues, suggestions or feedback, let us know at support@sleepiest.com until then, sweet dreams. Okay so 99% of reviews are raving about this app, rightly so. I’ve never reviewed an app before but I just want to take a moment to give credit and thanks to the team behind it. I had a query about my new trial subscription and contacted Sleepiest. The response was quick, knowledgeable and sone of the best customer engagement I’ve had in ages. The app looks very professional and it’s obvious time and effort goes into it. 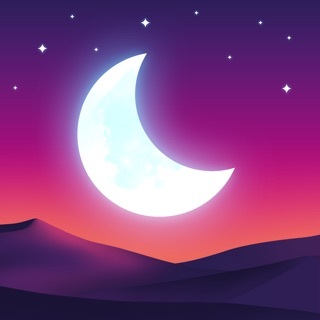 Sleep is affected by so many factors and the app may or may not work for everyone, it doesn’t claim to but if you’re looking for a great app that provides a nice range of tools to relax, in an easy to use format, give this a try. People seem to complain too much on the App Store about subscription charges or app purchases but I think if we want quality, well put together content, with developer support, we need to pay fair prices. Will be recommending to friends. Recently I have began to have trouble with sleeping. I searched for ways to cease my troubles and that is when I came across... SLEEPIEST!!! Over the last few nights I have been continuously listening to the sound of rain falling and it has quite rapidly changed my entire sleep pattern! The sound plays for 1 hour or how ever many times you desire and in this time I have fallen sleep with no worries or fears and have grown quite attached to it. There are many stories including: Alice in wonderland, Sherlock Holmes and the mountains or California... each story is guided through by a variety of speakers, which relax you and prepare you for a peaceful sleep! There are also may sounds you can listen to depending on your chosen sound of relaxation. I hope this has given you some insight into Sleepiest and how it truly does help your sleep. I love this app since I personally don’t usually tend to sleep that well and it has a variety of different sounds and stories to help lull me to sleep when I am struggling. Even better, it has different timers available so I can leave a sound playing for, let’s say, an hour if I want so it won’t keep playing all the way through the night. It does have in-app purchases, however, but they aren’t compulsory or anything and just help to unlock new sounds, etc. Luckily, there are already enough available to not feel obliged to do this and there aren’t any adverts as far as I am concerned.